Sowore spoke to NAN at the 2019 Access Bank Lagos City Marathon where he was a guest on Saturday. The presidential hopeful said that he would give sports its deserved priority if elected president on the Feb. 16 presidential election. “I will give sports the needed priority in my government because it gives youths the opportunity for interaction not only social but economic. I will be in charge of sports if elected. “It also develops the body physically and mentally. It is an opportunity for wealth creation in terms of employment generation and also health enhancement. “In terms of sports development, I can say that the country is lagging, we have yet to tap the opportunity that abounds in the sport for revenue generation; we need to catch up with others. “Another important thing to note is that only through sports can we actively engage our youths, and I am saying this with all sense of diligence,’’ he said. Sowore, who claimed to have participated in several marathons across the world, including the 2017 edition of the Access Bank Lagos City Marathon, said sports could be used to end the insurgency. “In Nigeria, we lack the necessary drive towards encouraging or promoting grassroots development of sports which has greatly affected the youth. “If we channel our sports well enough, maybe those who are engaging in insurgency such as Boko Haram wouldn’t have been in the group. “Year in year out, we spend millions of Naira for security at the expense of developing our youths; there are lots to do in this regard. “I am an advocate of developing a sport culture which is an investment in sports that will yield good dividends,’’ he said. 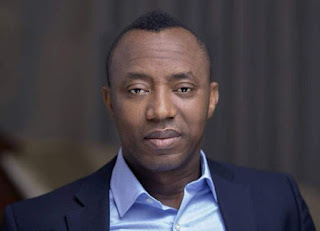 Sowore, the brain behind the news online, Sahara Reporters, said that the recent statistics of Permanent Voters Card (PVC) collected which has 51 percent of youths was a positive one. “The present pie chart released by the Independent National Electoral Commission (INEC) that has 51 percent of youths as registered is good news. “That means the majority of those registered to vote are youths, that says something strong and that is the first time in history. “I want to advise the youth to use that power positively to change their condition this time around.